The staff of Zia Automotive moves at full throttle to make clients’ rides smooth and safe. 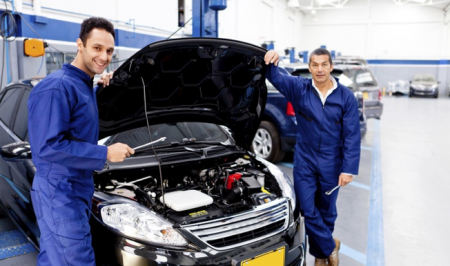 Offering automotive repair and maintenance services, the shop’s technicians draw upon their expertise to recondition all kinds of vehicles, especially specializing in BMWs. Whether they keep pistons lubricated with new fresh oil, tune up air conditioners, replace brake pads, or align wheels, they have their patrons covered with professionally executed services. Promotional value expires 120 days after purchase. Amount paid never expires. Vehicles with cartilage filter will be charged addition 10$. The promotion includes 5L oil and spin on filter. Appointment required. Limit 1 per person, may buy 1 additional as gift(s). May be repurchased every 120 days. Must use promotional value in 1 visit(s). Valid only for option purchased. All goods or services must be used by the same person. Merchant is solely responsible to purchasers for the care and quality of the advertised goods and services.